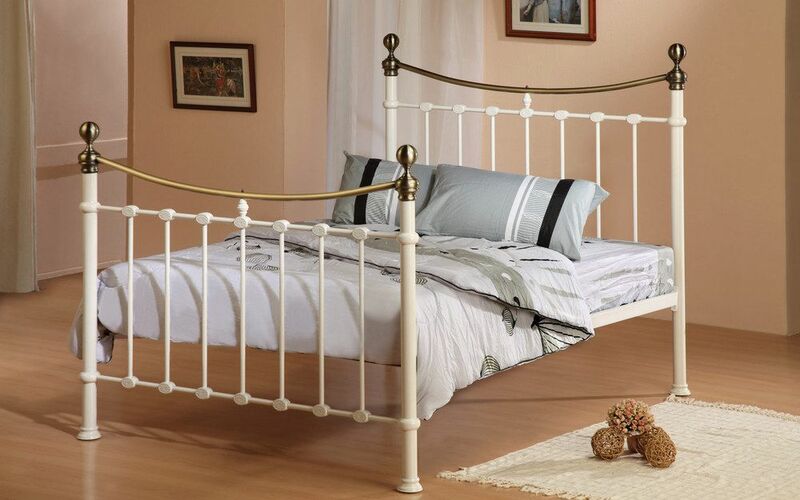 Add beauty to your bedroom with the Time Living Elizabeth Metal Bed Frame. A sprung slatted base gives this bed frame the comfort factor while brushed nickel antique detailing and an enameled finish offers sublime elegance and longevity. A stunning focal point of any bedroom!